Most bivalves live in sand or mud or attached to rock surface. However, a new bivalve species described from Japan lives on a sea cucumber. Ryutaro Goto, postdoctoral fellow in Museum of Zoology and Department of Ecology and Evolutionary Biology, University of Michigan, and Hiroshi Ishikawa, amateur malacologist in Japan, have their paper, describing the new species, published in the open access journal ZooKeys. 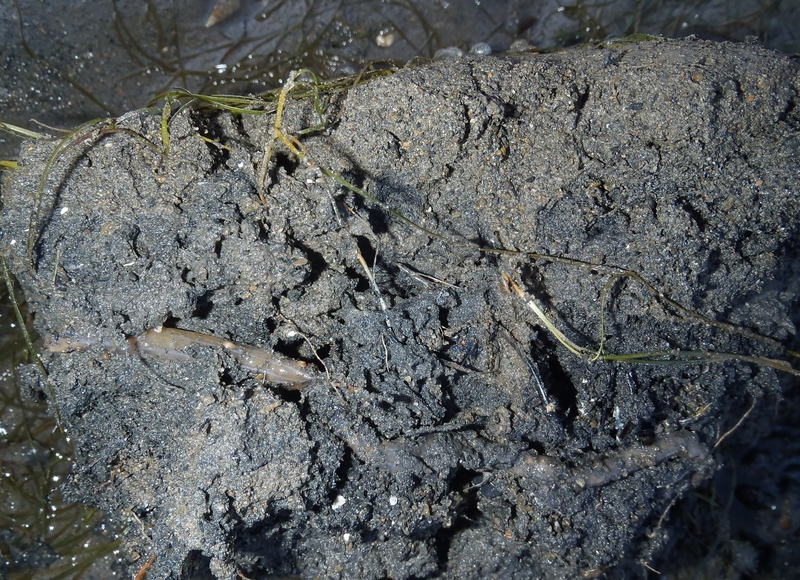 The new species, named Borniopsis mortoni(Galeommatoidea), was discovered in mudflats at the mouth of the Souzu River, southwestern Shikoku Island, Japan. 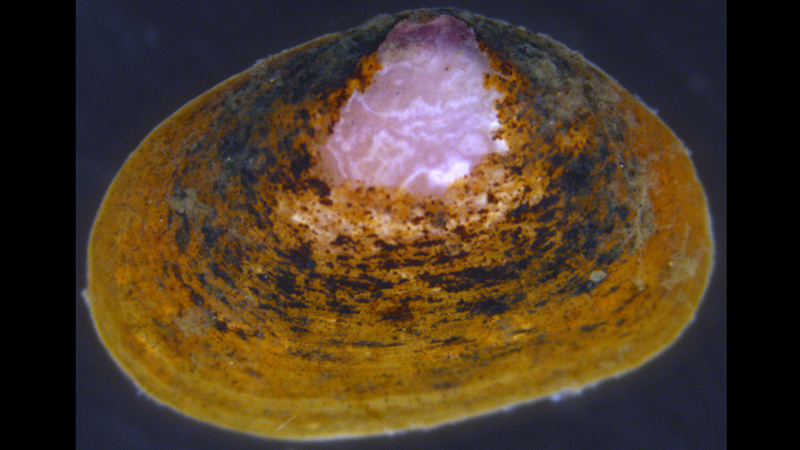 This bivalve has tiny brownish shells (up to 4.1 mm in length). The species lives attached by both its foot and byssal threads to the body surface of the earthworm-like sea cucumberPatinapta ooplax (Synaptidae). Individuals of B. mortoni are often found on the same host, yet sometimes there could be more than 10 individuals existing side-by-side. The new species is dedicated to a famous British malacologist Brian Morton, emeritus professor of University of Hong Kong. He has described many interesting Pseudopythina species from mudflats in Hong Kong, now assigned to the genus Borniopsis. Host sea cucumbers burrow in mudflats. Most likely, the B. mortoni bivalve uses the host burrows as shelter from predators. The new species is one of the smallest species in this genus. With the burrow of the host sea cucumber being very narrow, the small body size of B. mortoni is probably a corresponding adaptation.